Like every child in Is-Land, Astra Ordott is looking forward to her Security Shot so she can one day do her IMBOD Service and help defend her Gaian homeland from Non-Lander infiltrators. Then one of Astra's Shelter mothers, the formidable Dr Hokma Blesser, warns her that the shot will limit her chances of being a famous scientist—or helping raise the mysterious data-messenger Owleons that Hokma breeds—and Astra reluctantly agrees to deceive the Is-Land authorities and all her family and friends in Or. 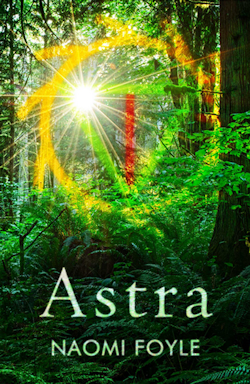 Astra grows up increasingly conscious of the differences between her and the other Or-kids—then Lil, an orphaned wild child of the forest, appears in Or and at least she has someone exciting to play with. 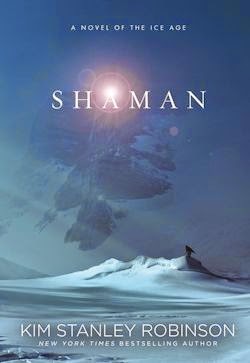 But Lil's father has taught her some alarming ideas about the world, and Astra is about to learn some devastating truths about Is-Land, Non-Land, the Owleons, and the complex web of adult relationships that surrounds her. They may be few and far between in the grander scheme, but in the world today there are plenty of places where people live in harmony with the environment, raising families and farming the land without ravaging the planet in the process. 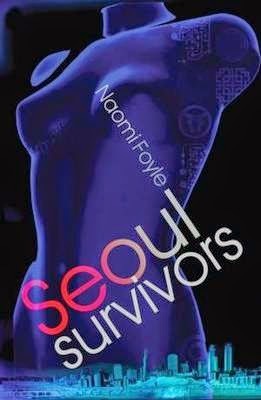 Naomi Foyle's second novel is set some decades on from an environmental catastrophe which left the surface of the Earth largely "barren [and] volcanic," (p.131) and much as I'd like to say everything changed in the aftermath of the Great Collapse, many people remain set in their ways, however unsustainable. Is-Land, on the other hand—a cooperative country formed by the Council of the New Continents after this terrible tragedy—has seen its membership multiply. But that's made it a target, hasn't it? And of rather more than ridicule, because there are those nearby nations who want what Is-Land's got, including "crops that will grow and thrive in the unpredictable ecologies of the Regeneration Era [...] cacti bursting with biofortified milk for desert nomads to sow" (p.58) and so on. For the foreseeable a period of peace is in place, but come what may, there will be war, and this time, Is-Land intends to be ready to fight for its rights. To that end its finest scientists have developed the Security Serum: a cocktail of hand-crafted Code meant to render its recipients the best soldiers they could conceivably be. All of seven years old at the outset of the novel named after her—an innocent who quite literally wouldn't hurt a worm—Astra can't wait to have her shot, the better to help "defend Gaia from harm" (p.20) when she grows up; however her shelter mother Hokma, a scientist herself, is suspicious of the Security Serum. She asks her adopted daughter to pretend to be a Sec Gen instead, and eventually Astra acquiesces. Except for the fact that... well, that'd be telling, and given the at most modest allotment of plot in Foyle's novel, I'd really rather not. Regrettably, this brings me to Astra's issues, which include poor pacing, a lacklustre narrative for the larger part, and an awful lot of awkward worldbuilding: all told a proper disappointment after the snappy science fiction of Seoul Survivors. Though the two texts have some absorbing characters in common, Astra drags, in fact, from the opening act, which portends in a hundred pages what a prologue could have tended to in two. 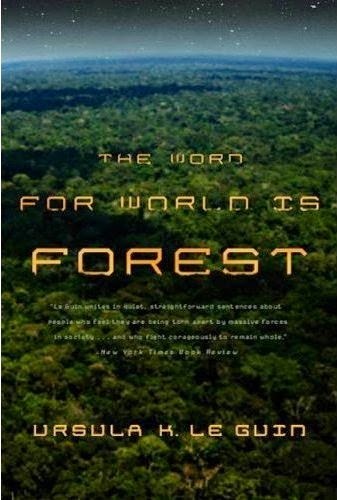 The central section is certainly better, especially as regards the developing dynamic between cynical Lil and an elder Astra, but only come the conclusion does the book finally find its feet, as Foyle sets about revealing the secrets of idyllic Is-Land. These sinister suggestions are best exemplified by a ceremony celebrating Astra's coming of age in which the "root" of her so-called "Gaia garden" (p.278) is brutally branded. Things get even more messed up before Astra ends as well, by way of a series of unsettling events Foyle handles smartly. Some may conceive of these sequences as too little, too late, but on the back of them I for one find myself harbouring hopes for The Gaia Chronicles going forward, now that the bulk of the busywork is done. Sadly so much of Astra struck me as exactly that that I'd have a hard time recommending Foyle's sluggish second novel to readers who aren't prepared to be particularly patient. Not the best of starts, then, but let's wait and see as regards the rest this series. A shame. I think I'll probably skip this one. And, I have to say it, but from the cover I'd assumed this was self-published. I'm kinda shocked that a real publisher actually put out a book with a cover like that. Seeing some very different reviews on this one, some absolutely raving and now this. Now my expectations have been tempered a bit. Hopefully I will still like it.